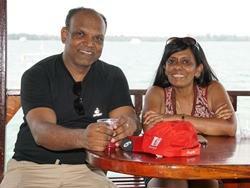 “I have just returned from a totally fruitful and enriching CAS trip from Krabi, Thailand. Every detail, for all CAS activities, had been looked into meticulously by the Krabi Projects Abroad team. All of them, (Vishal, Parichart, Nou, Monty, Alan and May), took care of everything in the most wonderful manner. They were very supportive and were always present to guide the students in all their activities. 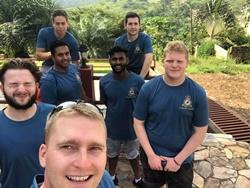 “Up until our arrival, the group had worked so hard to get themselves to Ghana, from fundraising to training, they were going to make it happen! I knew they would embrace the culture and do their best to make a positive change. Venturing out of their comfort zone, it was going it be a big adventure for them which is what it is all about! We had the perfect team to make that change; to complete a community project and put smiles on children's faces who compared to the cadets, lead very basic lives. "When I take groups of Girl Guides abroad, I want to give them the opportunity to visit countries that are outside their comfort zone, and not the ones they would normally go to on family holidays. Mongolia ticked all of these boxes. The people are among the most gentle I have ever experienced in all my years of traveling. They believe in an affinity with nature and not disturbing the harmony of life. By the time we came to the end of our placement, it was literally tears all round, even from all the adults. The connections we had made with everyone there were tangible and so rewarding. Moreover, that was without the aid of much shared language! From the very first day, our support quite literally could not have been better. Our main Projects Abroad Mongolia contact and our two other support staff, did quite literally absolutely everything they could to make our stay easy, enjoyable, stimulating and any other adjective you can think of! They were wonderful, we could not have asked for more. Would I do it again? Tomorrow, without a second thought!." 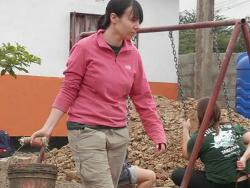 "The students had a fantastic trip to Nepal and we are all back safe and well. The Building project was fantastic, well organised and ran by a very enthusiastic American, Taylor who kept everyone busy and cheerful. The Projects Abroad team did a great job in organising the various cultural visits and accommodate our requests for a few changes to the itinerary." 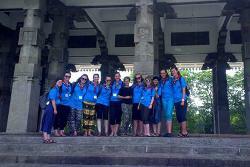 "One of my main hopes when putting the trip together was to be able to spend time with the Girl Scouts in Cambodia. This was a real opportunity for the girls to understand more about life as a teenage girl in Cambodia and it was a great day! When the girls were all introduced to each other they were soon chatting away, discovering the differences as well as the similarities in their lives. Our final evening in Cambodia was spent on a boat floating down the Mekong River. As the girls were chatting afterwards, it was wonderful to sit back and think - we did it! The girls had not only survived the two weeks but flourished! They had all grown in confidence at what they were able to achieve, had seen more of the world and were discussing what their next adventures might be and I was over the moon! I really value what travel and experiencing a new culture can bring to life and hope that they have all caught the travel bug." "We spent two days in Cusco under the watchful eye of Jorge. Our first day was at an old people's home and we tried to entertain and help out - not easy when don't speak the language. There was lots of laughter, not sure if this was at our singing, our photos or our attempts to communicate, but we left them happy and fed. Of course there was lots of shopping and eating, trying the local cuisine, including Inca Cola and Guinea Pig and trying to get the hang of bartering. Cusco was a friendly city of great culture, bathed in the midst of the amazing Andes scenery and full of Peruvian Culture." "Projects Abroad staff made the organisation and running of the project so smooth both whilst still in the UK and when we were in Sri Lanka. Staff based in the UK were in touch with me regularly to make sure all our arrangements were in place. I was contacted by my country co-ordinators regularly too and when we arrived in Sri Lanka, we were met by our own, amazing volunteer coordinator who was with us for the whole trip! 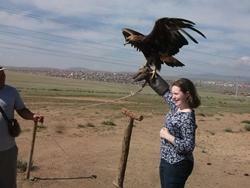 All my student volunteers would agree that Projects Abroad experiences are amazing. They are not just about volunteering as you will also get to experience local culture, food, entertainment, attractions and so much more. Each and every one of my student volunteers had a trip of a lifetime and all said they would love to do a similar project. As for me, I get to keep going with new student volunteers to ensure that as many students as possible experience such a worthwhile cause and I will always use Projects Abroad." "I can't speak highly enough of the way your staff looked after us. We felt very privileged to be seeing the Country through the eyes of the people who live there. Our helpers answered our questions and gave us an insight as to what it is like to work and live in Mongolia. The girls learnt so much from the children and the teenagers they met and felt that it was a very different way of life to what they were used to. Thank you so much for all the time you have put into helping make our trip worthwhile - Vicki is already looking at leading another one!" "Thank you for everything you did for us over the past two weeks. We are safely back in London and are currently back at school as we speak. We were very impressed with the organisation of the placements; the level of protection you provided our children; and the kindness your staff exhibited to us all. You are blessed with fantastic staff who treated us like family, we cannot praise them enough! We are truly grateful for all of you support and assistance leading up to our trip as well as on the ground. We cannot wait to come back soon." 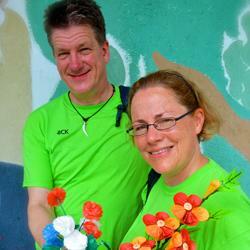 "Our trip to Nepal was a complete success. I thoroughly enjoyed watching the girls and Leaders I took with me grow in confidence during our time in Nepal. I am really proud to have been able to represent Girlguiding Anglia and to have worked with such amazing young women. I also feel proud to have been able to make such a difference to the lives of many children in Nepal who are not as fortunate as we are." “My husband and I have been meaning to contact you since the girls returned to just let you know what a fantastic time they had. They came back with such wonderful memories and it was an experience they will never forget. Thank you to you and your team both here and in Jaipur, for such an efficient, well organised and worthwhile trip - the girls always felt safe and well looked after by everyone and we would not hesitate to recommend Projects Abroad. "It was a terrific experience for the students to be able to witness what they did. There are different laws out there in India which meant they could get much closer to things such as watching babies being delivered by caesarian section. For some of our students this has confirmed their career choices. The trip has given us some life long memories. We have had an amazing experience." "I think this is a great way for students to bridge the gap between family holiday or “school trip” or individual volunteering. The best thing we did was finish building the chicken coop and put the chickens in it! Very satisfying. 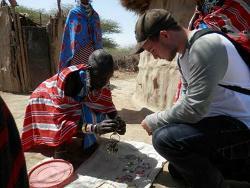 The safari, Mt Meru waterfalls and the Maasai experience were unforgettable. Seeing my students develop their confidence and cultural awareness is always wonderful." "Our son Joshua has recently been on a Projects Abroad medical work experience visit to Costa Rica and we just wanted to thank all those involved in his visit. He had a really memorable time and has not stopped talking about it since he returned. A special thank you must go to Marcela (in Costa Rica with them) as he thought that she was incredibly helpful, constantly enthusiastic and really supported the group. 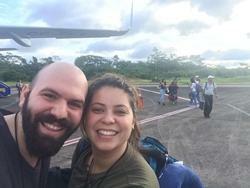 He really enjoyed his time with your company in Costa Rica and it has made him even more determined to follow a career in medicine. Thank you to everyone involved once again!" "This was an amazing trip. We learnt how to live in a completely different culture to that of the UK. We were supported by our Projects Abroad staff wherever we travelled. They helped us at the markets with our bartering and enabled us to have the confidence to purchase our souvenirs at good prices. They advised us on customs and how to behave whilst out and about and generally looked after us during our trip. It was brilliant to see the confidence of the girls increase during the 2 weeks we spent on the project. They worked extremely hard during their time at Marcoff and the experience all the girls had there will no doubt have an impact on their future life choices." When I had the crazy idea to take my Guides to Nepal to carry out some voluntary work most people thought that I had finally lost it! However, I felt very strongly that it was the right thing to do and the right place to go. As a group we had been sponsoring the education of 3 Nepali children for a few years. I quickly realised that I needed help and found Projects Abroad via the internet. When Scott visited the group one Friday night, we knew that we had found the right company and that we would be going. Projects Abroad held my hand throughout all the planning and came up with an incredible and challenging programme for our 2 weeks in Kathmandu. Going the extra mile was never too much trouble either before we left or whilst we were there. Risk assessments had been done and every effort made to keep us as safe as possible in such a different culture. 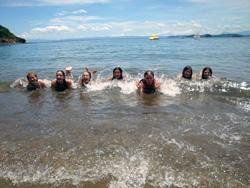 The girls who went were aged 12 to 17 years and they had the most fantastic time. They learnt so much about themselves and were able to put life in the UK into a real perspective. They aimed to give more than they received but found it impossible as the Nepali people shared all that they had with us. We experienced the culture, the food, the clothes and the problems of a third world country. The work with the children was a huge success and the painting work at the school has given us another connection to follow up and to support. All the girls and leaders want to return and I know that many will as Nepal is now in their blood, as is the gift of giving of themselves that they learnt. I wanted to teach my students firsthand the importance of helping others. The school and I chose Projects Abroad over other similar groups because they were able better cater to the needs of our unique school. Our trip was a month long. 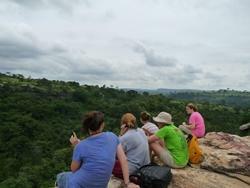 We wanted our students to experience both rural Africa and a more urbanized setting. We spent two weeks in Kwamoso, Ghana where we refurbished a school building and helped out at a local orphanage. We spent the second two weeks teaching at an elementary school and a preschool in Cape Coast, Ghana. We taught P.E., English, and Creative Arts. On the weekends, Projects Abroad help us organize excursions to nature reserves, safari parks, slave forts, and waterfalls. In addition, I taught an African studies course and Journalism class to my students while on the trip. My students also participated in a locally taught African drumming and dancing class. The students performed for the local community after their drumming/dancing classes were completed. I witnessed great change in most of the students. One of the girls discovered her ability to lead and affect others, another came back in a better place to improve how she interacts with other and how she reacts to tough situations. Yes, Projects Abroad took care to ensure the trip was specific for our school. That is actually why I chose Projects Abroad. We have an African drumming class at our school and Projects Abroad made sure my students participated in an African drumming class while in country. Projects Abroad made sure each participant went home with a djembe drum. "Projects Abroad held my hand throughout all the planning and came up with an incredible and challenging programme for our 2 weeks in Kathmandu"
Only a few days in to our Care and Culture experience in Mongolia, the Guest House that Projects Abroad arranged for us became “home” in our regular vocabulary. We trusted our project organisers and they returned our trust with fascinating experiences, professional knowledge, and admirable skill. From the first personal contact and patient planning sessions over email, to the impeccably planned forays into the beautiful countryside, to the valuable and varied experiences; the extensive materials, the planning, and the expertise helped make this trip seamless and memorable. "We were given the whole school (270 children) to entertain in one afternoon. The night before, we had come up with a few ideas and ways of organising them but all the well laid plans quickly went out the window as we were met with the chaos of 270 excited children… It was so humbling to see a group of children so happy and proud of what they had made, something so simple gave all of those children an afternoon of enjoyment. We were kitted out in very bright and sparkly clothing in a huge variety of colours all covered in gems and sequins." "The opportunity to learn about a world very different from their own in a safe and supportive environment is the hallmark of a Projects Abroad experience." St. Mildred's-Lightbourn School has developed a close partnership with Projects Abroad since 2005 in support of its extensive experiential learning program. 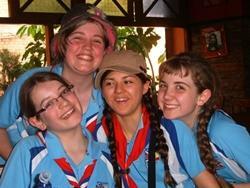 To date SMLS girls have worked in Mexico, Ghana, Morocco, Argentina, Thailand and Mongolia. They have experienced an extensive range of voluntary placements in the fields of care and community, teaching, turtle conservation, medicine and marine conservation. The opportunity to learn about a world very different from their own in a safe and supportive environment is the hallmark of a Projects Abroad experience. This company offers a complete experience with impressive attention to detail from start to finish. The professionalism of the Projects Abroad staff, both in the field and at head offices, is commendable, reliable and totally reassuring to both school administrators and parents as we coordinate these wonderful experiences for our students. We take every opportunity to recommend Projects Abroad to like-minded educators and look forward to further developing our relationship and programming with Projects Abroad in the coming years. Two weeks ago, eleven Canadians left Toronto amidst a ferocious snowstorm and arrived in Liberia to a warm welcome and the Costa Rican sunshine. The nine students of The Bishop Strachan School and their two teachers had the incredible opportunity to experience Tico Culture with the help of Projects Abroad. Our time in Liberia was amazing. We especially loved our placement at the Cin Cenai Day Care. The children there were so excited to meet us and play with us. Using supplies we brought from home, the group created art projects while also having the opportunity to teach the students basic English lessons. We ended up learning a lot Spanish from our new little friends and we felt very loved and appreciated at the school. Our second placement at the Escuela de Enseñanza Especial was also incredibly, special and meaningful. It was a true blessing to be able to interact with the gifted, friendly and talented students. We were also really privileged to see the love and kindness they are given by their teacher. We were very humbled by our experience at the Esc. De Ensenanza Especial and we learned that everyone is special and valued regardless of their intellectual or physical capabilities. The second week of our trip was spent in the very beautiful surroundings of Barra Honda National Park. Here, we had the opportunity to hike, explore the underground caves, see animals and truly appreciate the beauty of Costa Rica. We also gained a greater appreciation for our natural environment. The spirit of the camp at Barra Honda is truly “Pura Vida”(the good/pure life) and we had a marvellous time getting to know the park staff and other Projects Abroad Volunteers. Our Project at Barra Honda was one we are especially proud of. We had the opportunity to re-design and improve the educational centre at Barra Honda. As a group we cleaned and organized the centre’s library, painted the windows and doors, and decorated the walls with posters, hand made paper flowers, maps and drawings. However, the element of the project we are most proud of is the full wall mural we designed and painted the education centre. We hope that this space will now be happy and functional for those who will have the opportunity to learn about conservation. Of course no trip to Costa Rica would be complete without seeing the beaches and volcanoes. We visited Arenal Volcano, Boldi Hot Springs, Playa Tamarindo and Playa Conchal. We were also lucky enough to visit Liberia once more which was an exciting cultural treat for all of us. Gracias Projects Abroad for our incredible time in Costa Rica. Pura Vida!! Some of these testimonials may include references to working in or with orphanages. Find out more about Projects Abroad's current approach to volunteering in orphanages and our focus on community-based care for children.